1. Zinc Aluminium alloy coatings have similar stability with spraying aluminium coatings and the electrochemical protection as well as spraying zinc coatings,zinc aluminium alloy coating is an ideal anticorrosion protective coating of sea water. 2. 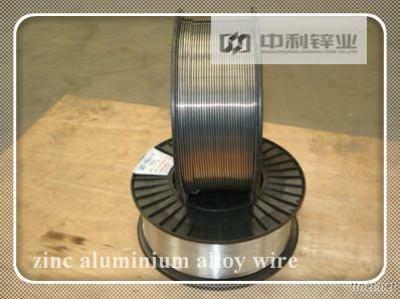 Compared with the zinc wire and pure aluminium wire, it's coating has coherence,the resistance to wear and corrosion resistivity is better as well as the construction of superior performance.The zinc aluminium alloy wire makes the sacrifice anode and sprays coating in the steel and iron component surface layerand it make the component service life lengthen 5-10 times.